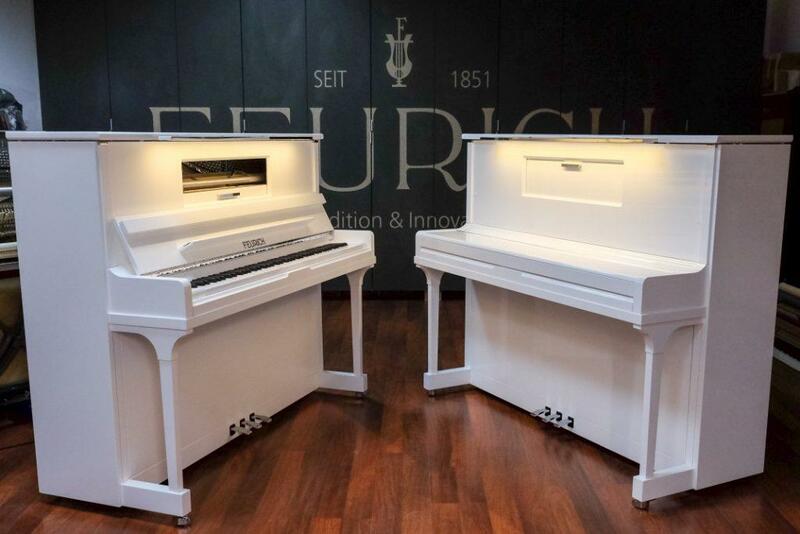 The latest FEURICH innovation is the upright Model 123 – Vienna. 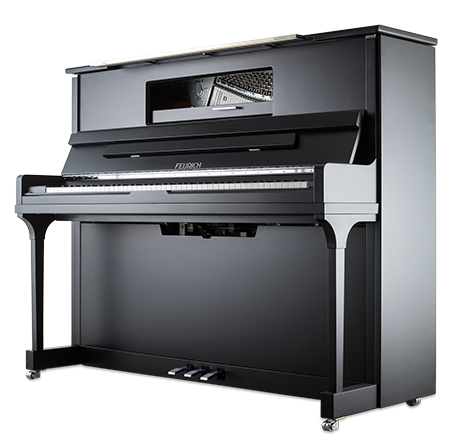 A totally new and unique approach to piano design can be seen in key features such as the action, the casing, and the pedal system. 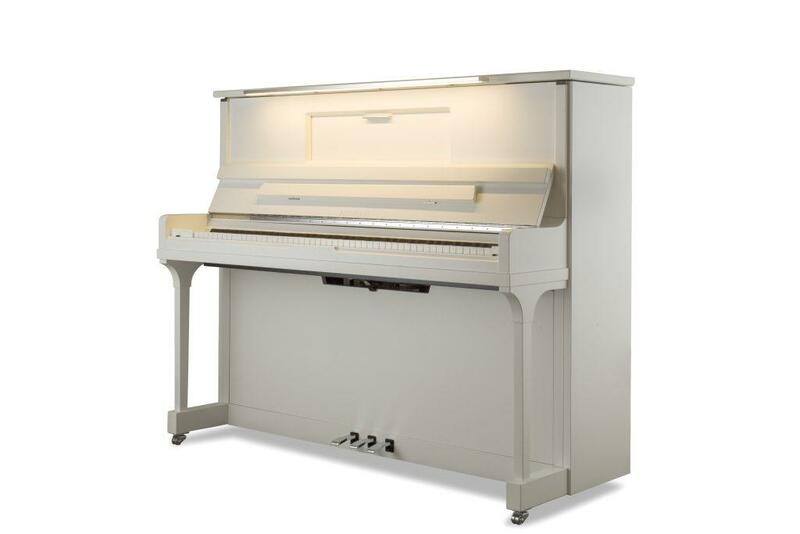 For this model, FEURICH came up with a new concept for the action design––©FEURICH – High Speed KAMM Action. 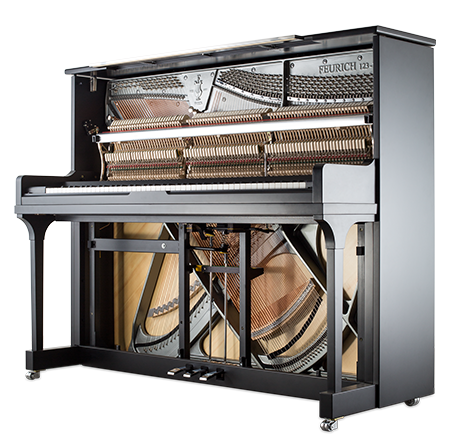 This innovation allows for an extremely fast repetition which is normally something pianists can only experience on the best concert grand pianos. Thanks to this new action, the Vienna Piano has a lighter touch and a more precise response than any other upright piano on the market. 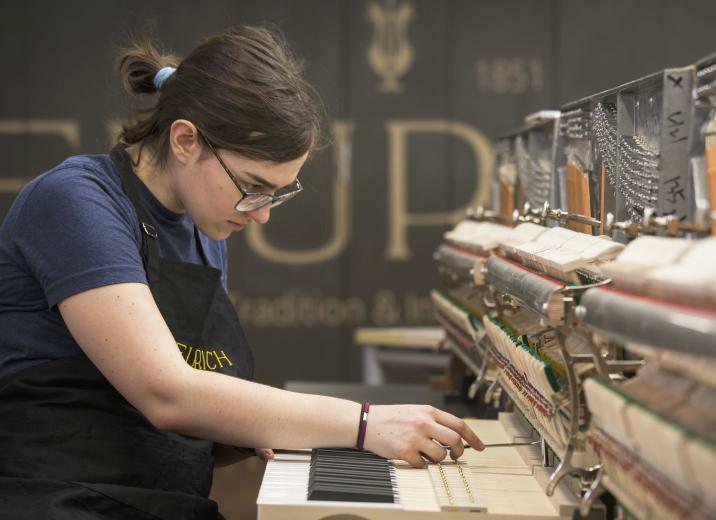 The FEURICH 123 – Vienna is one of the first pianos in serial production to employ a totally lead-free keyboard design. 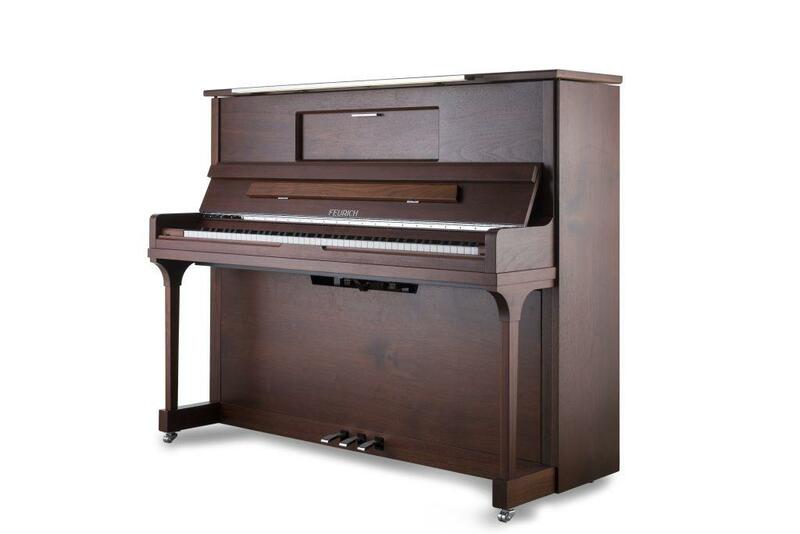 The result is a more stable, and longer-lasting action and keyboard. 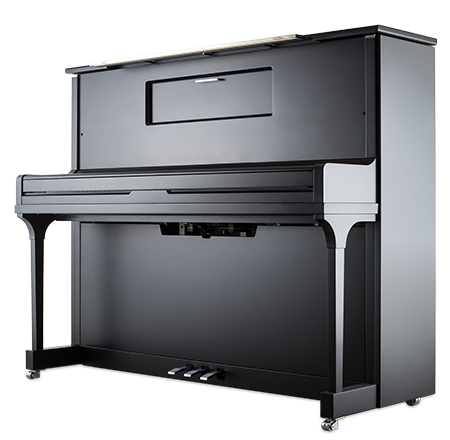 Another forward-thinking innovation is the use of an environmentally-friendly lacquer for the casing of the Model 123 – Vienna. 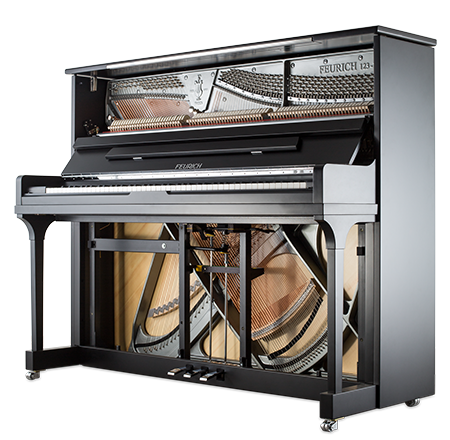 Thanks to the entirely new and robust design of the pedal system, many more nuances are available to the pianist when pedalling. Undesirable noise from the pedal system is also now a thing of the past. 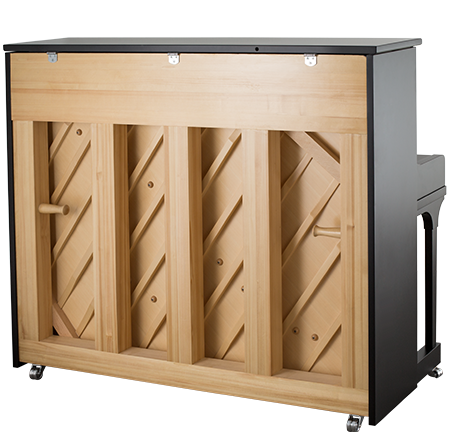 The newly-designed iron frame for the frame and casing allows the entire casing of the piano, including the side panels, to be easily removed or replaced. 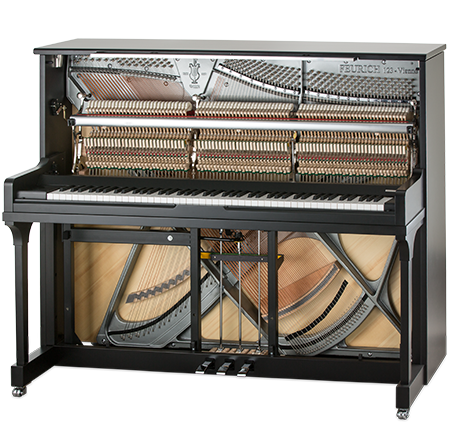 It is even possible to play the instrument with no casing whatsoever. 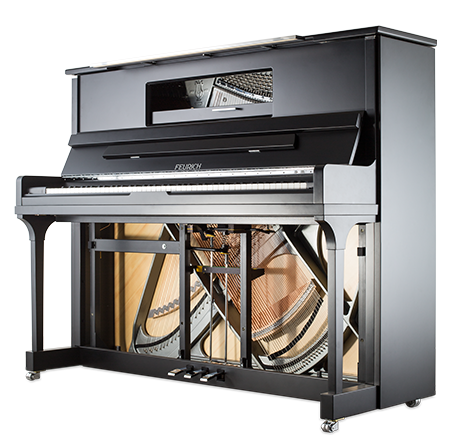 For the first time in history, a serially-produced piano can be played with no casing––perfect for recording, concerts, and difficult transport situations.